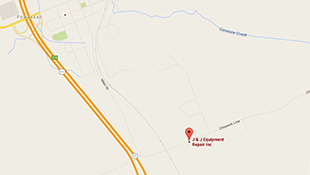 Located in Powassan, Ontario, J&J Equipment Repair Inc. has been servicing the East-Parry Sound District for over 14 years. As a family owned and operated business, we take pride in providing you with quality service for all your equipment repair needs. 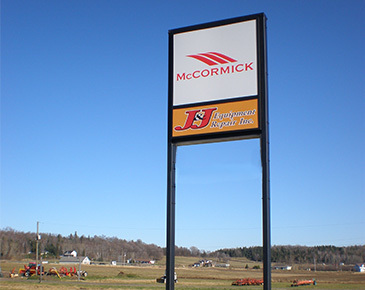 J&J is an authorized McCormick, Landini and TYM tractor dealer, selling models for agricultural, commercial and residential purposes. 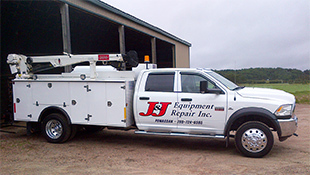 J&J can help you outfit your equipment with custom attachments and fabrications. We also provide parts and service for other competitive lines of equipment. Below you can find links to more information on all the services we provide and how you can contact us. View a list of services we provide both in shop and on the road — also find out about our parts services. 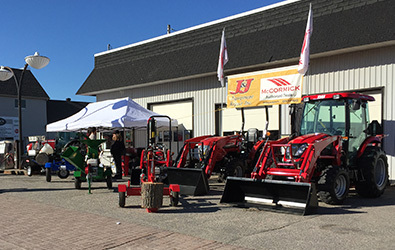 See the variety of new equipment for sale at J&J as well as a full list of current used equipment sales. Looking to stop in for more information? Find out where we are and map out your route. Visit us during the festival and ask us all of your questions. 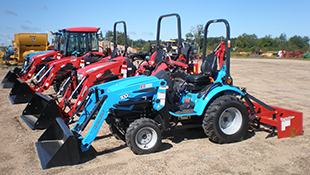 Come by and see our newest lineup of tractors and equipment. We look forward to seeing you there! © 2016 Jessica Piekarski Designs. All rights reserved.